Don’t miss it! Jamie Allman is the emcee for the evening. 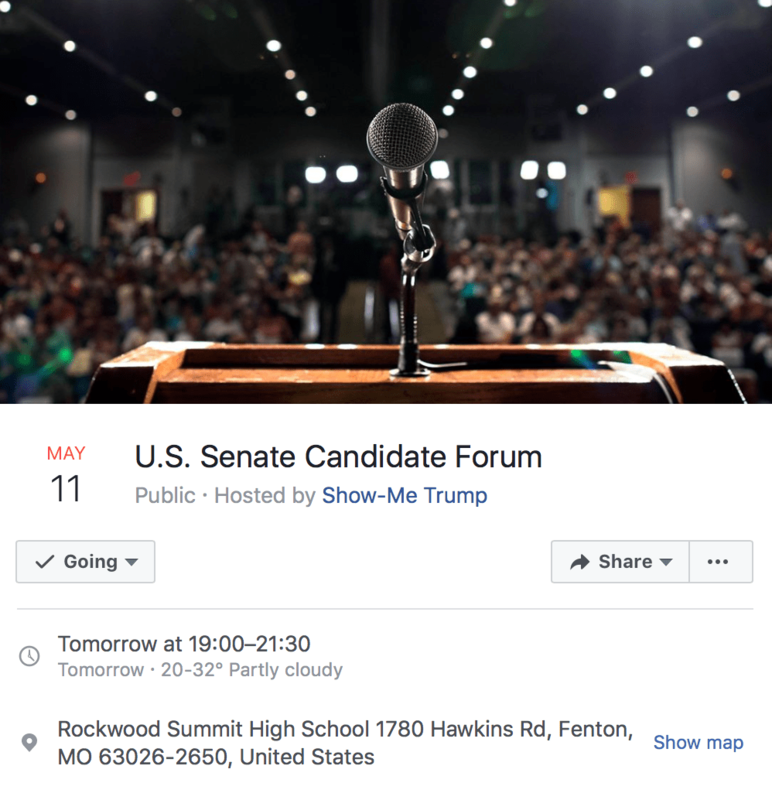 Five candidates for U.S. Senate will take the stage to defend their positions on various political issues. Ed Martin and Stacy Washington will moderate. The following candidates have confirmed their attendance: Tony Monetti, Christi Nichols, Austin Petersen, Peter Pfeifer and Courtland Sykes.